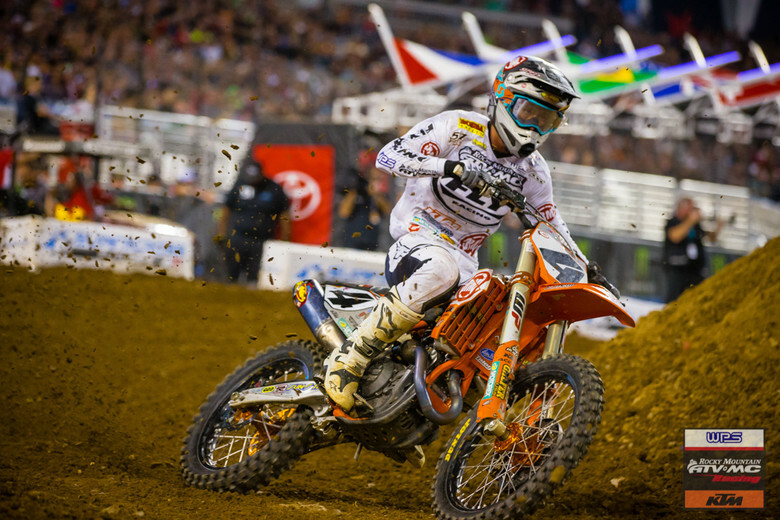 Payson, UT (April 8) – A historic night for Team Rocky Mountain ATV/MC -KTM-WPS as round 13 of the 2019 AMA Supercross season made its first visit to the music city of Nashville, TN and Nissan Stadium this past Saturday night. It would be another top ten night for the team, as Blake Baggett earned his fifth podium of the season while Justin Bogle finished inside the top ten for the second week in a row. The night started inside the top five for Blake Baggett as he got the jump out of gate to lead the field into the first turn. After sliding back a few spots , he soon found himself deep in a battle for position as he worked his way to the front. Keeping the pressure on, Blake finished 5th to transfer to the main. The Palmetto Motorsports supported rider timed the gate perfectly in the main, rounding the first turn inside the top five. Blake didn’t waste any time working his way to the front, as he would stalk Cooper Webb for several laps before making the pass into second place. He kept his composure on the slick Nashville track and took the checkered flag in 2ndplace, earning his fifth podium of the season. Justin Bogle had the flow of the Nashville track as he launched out of the gate and found himself battling inside the top five early in the race. The Acerbis supported rider put in a charge in the late stage, pushing inside the top three taking 3rd at the checkers. In the main, Justin would round the first lap outside the top fifteen. The ASV supported rider clicked it up a gear as he put in a charge through the field and pushed his way into the top ten by mid-race. He would hit his marks, riding strong to finish the night in 9th place. 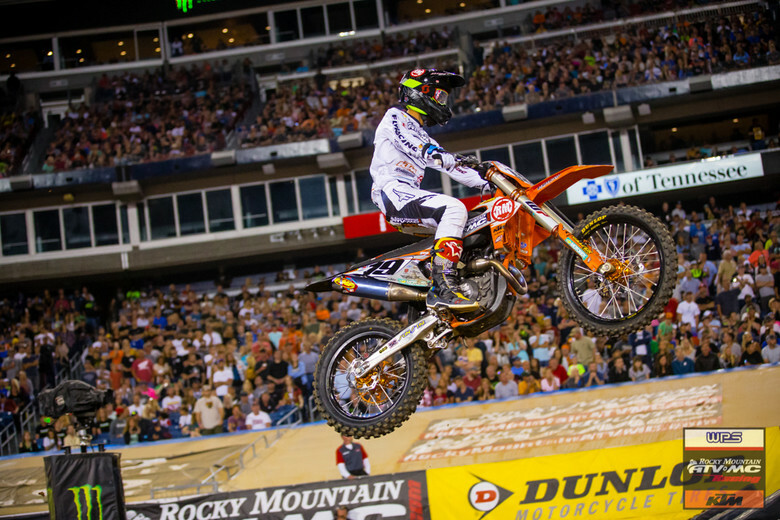 Team Rocky Mountain ATV/MC – KTM – WPS now travels to the mile high city of Denver, CO for round 15 of the 2019 AMA Supercross Series.